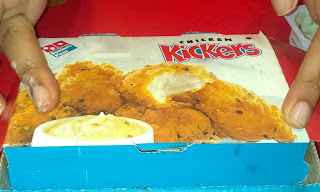 Today I had domino's chicken kickers they were really good. Boneless Chicken pieces nicely made with tartar dip. Yummmy! !